France have a galaxy of starlets at their disposal but Mbappe outlined his potential with four goals and a string of excellent performances at the 2018 World Cup. His turn of pace, eye for goal and intelligence render him a serious threat. Les Bleus will be keen to prove last year was no fluke and their strength in depth rightfully puts them at the top of the market. Their Nations League defeat to the Netherlands raised eyebrows but over the course of a tournament they are the ones to beat. Say what you will about the nature of his goals at the 2018 World Cup, Kane is a proven scorer at the highest level and leads the Three Lions from the front. He has an excellent relationship with Southgate and is a marvellous technician in the final third. England followed up their World Cup heroics with qualification for the Nations League semi-finals and the plethora of young talent getting opportunities at big clubs suggests the success is set to continue. Supporters could be in for another magical summer, especially with the Euro 2020 final being played at Wembley. An archetypal Spanish maestro, Isco will turn 27 before next summer's tournament and has the blend of experience and quality to spearhead Spain's Euro charge. He is versatile and now he has returned to the Real Madrid side expect Isco to force his way back into the national team reckoning. Spain's 2018 World Cup was hindered by managerial mayhem but a more settled group should at least make the last four. The experienced core of Sergio Ramos and Sergio Busquets is now complemented by exciting youngsters Marco Asensio, Dani Ceballos and Pablo Fornals. The marauding Chelsea forward scored three goals and laid on two assists at the World Cup. He can turn a game on its head with his trickery out wide and it is testament to his star quality that Real Madrid are reported to be lining him up as this summer's 'galactico' signing. 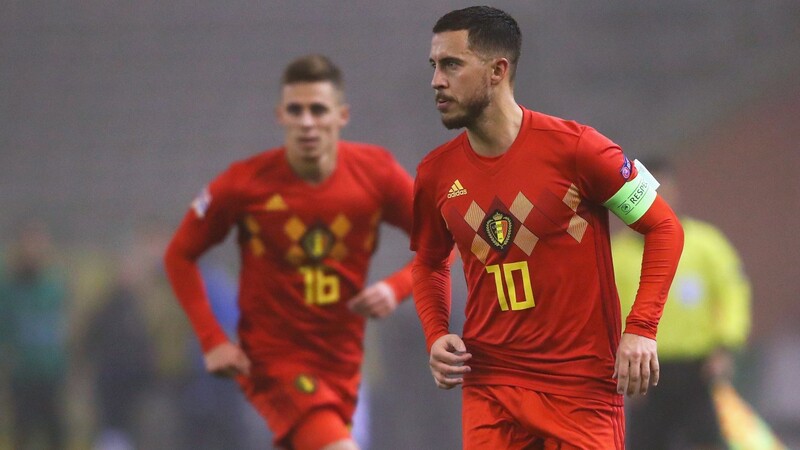 At the close of every recent tournament pundits seem to say Belgium's 'golden generation' have missed their chance but this crop still have age on their side and are yet to reach their peak. Along with Hazard's trickery, they have a strong spine with Romelu Lukaku, Youri Tielemans and defensive duo Jan Vertonghen and Toby Alderweireld. They must be contenders. Sane's shock omission from the World Cup squad prompted criticism of manager Low and he can show his worth on the European stage. Plying his trade in arguably the strongest club squad on the continent, the winger strikes fear into the meanest of defences. German football is in a transitional phase. Last year's World Cup capitulation signalled the end of an era and their future hopes will depend on the development on players such as Antonio Rudiger, Sane and Timo Werner. But this tournament could come too soon for them. 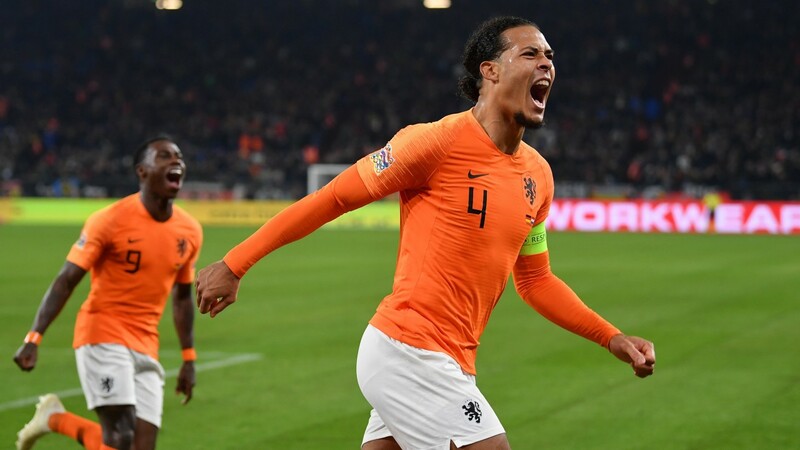 Heralded as one of the Premier League players of the season, Van Dijk has been the heartbeat of Liverpool's watertight defence and can help Holland grind out results against stronger opponents. A threat at set-pieces, he can contribute at the other end as well. Beating the World Cup holders and landing a Nations League semi-final berth suggests Holland are getting back to their best. Their centre-back partnership of Van Dijk and starlet Matthijs de Ligt looks solid and Barca-bound Frenkie de Jong is a seriously exciting talent. They could be dark horses and look the value selection at this stage. Between their veteran defenders and speedy front men, Italy need a player to pull the strings in midfield and few have better vision and composure on the ball than the PSG playmaker, who will be central to his side's return to major tournament football. An ageing rearguard and a handful of mediocre Serie A players will not get you very far in the European Championships.Lorenzo Insigne, Verratti and Federico Chiesa are exciting players but overall they do not look strong enough as a group to go deep in the tournament. Scintillating creative outlet Bernardo Silva looks primed to take the baton from Cristiano Ronaldo but for now there's no doubt who Portugal's main man is. As well as breaking record after record at club level, CR7 rises to the occasion on the international stage too. His pulsating hattrick against the Spanish last year was a particular highlight. The European Championship holders have done little since their 2016 success, playing rather insipid football in the World Cup group stage before their exit to Uruguay in the last 16, and their squad looks too weak to mount a serious challenge. A deserved winner of the Ballon d'Or, Modric is both a warrior and architect through the middle and will still be Croatia's go-to player in 2020. He has had a tough campaign at Real Madrid but is an excellent leader with the ability to dictate the tempo of any game. Croatia's progress to the 2018 World Cup final was a stroke of genius from Dalic and his players but it is hard to envisage a repeat of that run in the Euros. Ante Rebic is improving at Eintracht Frankfurt but the better players may have passed their peak. Shaqiri makes most of his Liverpool appearances from the bench but he will be a regular starter in Switzerland's Euros side. The former Stoke forward bagged the winner in the decisive World Cup group game against Serbia and is capable of playing across the entire front line. Switzerland have made it beyond the group stage in only one of their four European Championship campaigns but they have a balanced squad and can unsettle any of the big guns on their day.